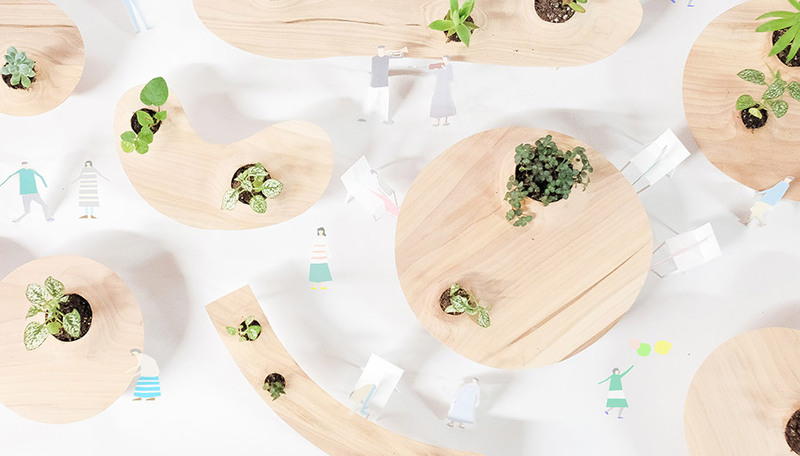 For Vancouver Design Week 2018 a number of designers, architects and urban planners are opening their doors to the public. Here is a small sampling of the studios visitors can explore. For its third edition, Vancouver Design Week is exploring impact. Namely, how design impacts the natural and built environments, industry, and, of course, people. A series of installations, films and talks (may we recommend recent AZURE Talks speaker Alison Brooks?) 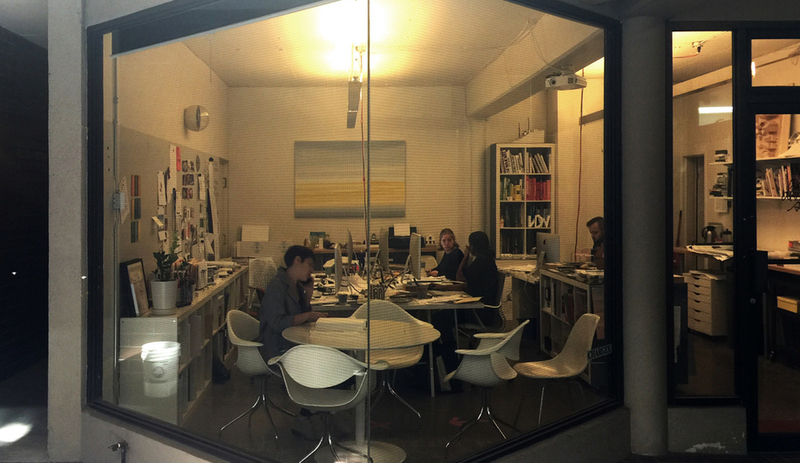 will explore the transformative power of design, but don’t miss where the work happens – in the studio. 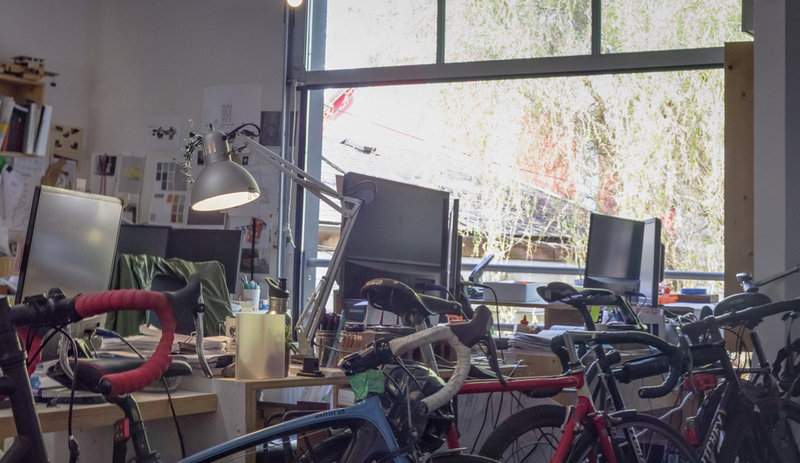 A number of Vancouver architects, designers and urban planners will open up their workspaces, many in fascinating heritage buildings, offering a glimpse at how they think, work, model and prototype. Here are a few we’re excited about. Location: #102 127 E Pender St. 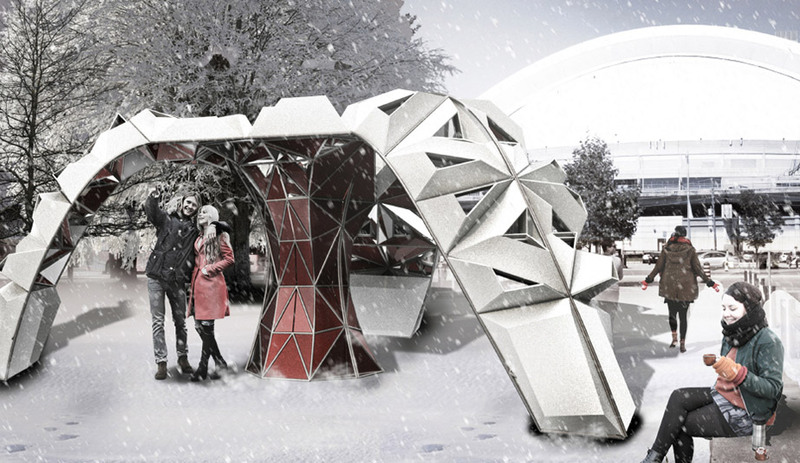 Date: Saturday, May 12, 12-4 p.m.
Last year, we included Marianne Amodio’s MAAStudio on our list of innovative new Canadian architecture studios. 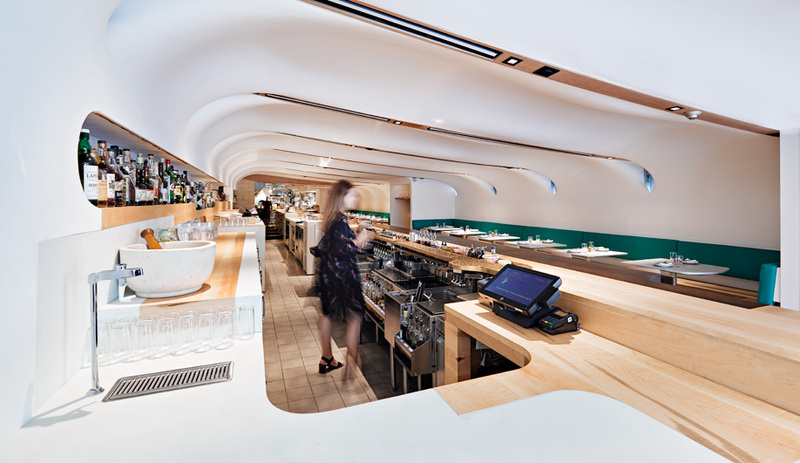 For good reason: the firm’s work focuses on accessible, approachable and transit-centric designs, which often illuminates streetscapes with bold pops of colour. “Architecture,” she once said, “isn’t just for the elite,” and that vision is evident in MAAStudio’s portfolio. 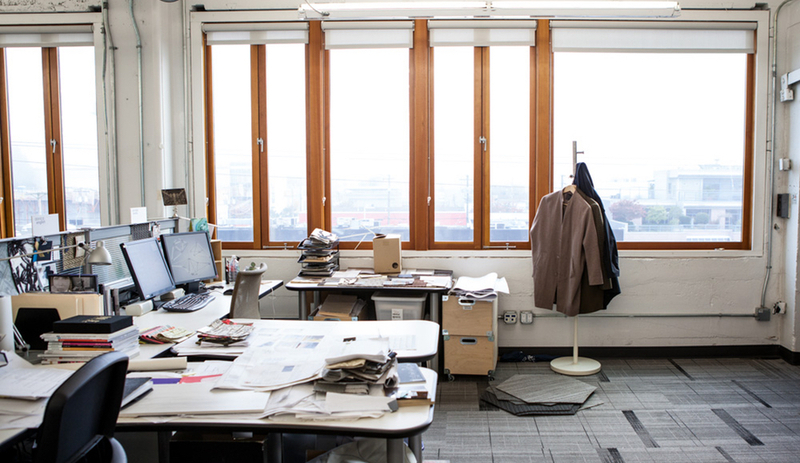 Amodio’s five-person studio, is located in a Chinatown building that was constructed in 1907 – then, after a fire, was reconstructed in 1973 by Henriquez and Todd. As for what to expect? 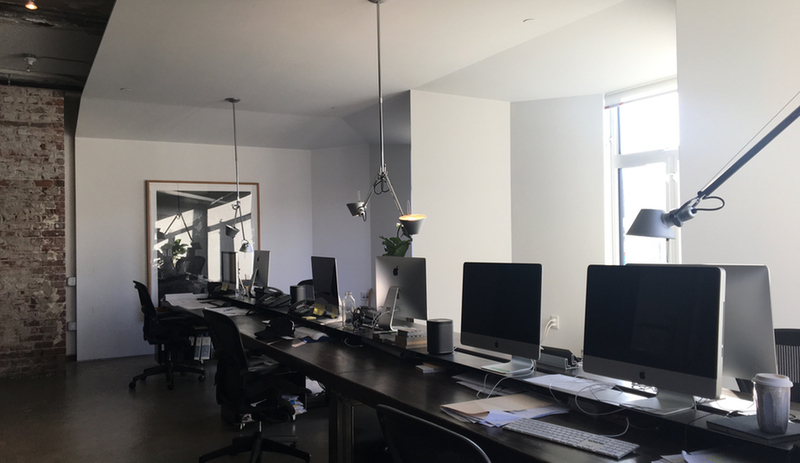 “We will offer some drinks and snacks in the courtyard during the open house,” the studio says. “We will have a projected slideshow of our work and recent sets of drawings to speak to.” Be sure to ask about TomoHouse, a 3.5-storey co-housing building inspired by Denmark’s multi-family dwellings. Location: 715 East Hastings St. If we’re to believe the photos – and their custom-made kits – Carscadden Stokes McDonald adores cycling. But it’s not the firm’s singular passion: it built its name on high-profile recreation facilities, but has also led park redevelopments, heritage restorations and mid-rise residential buildings. 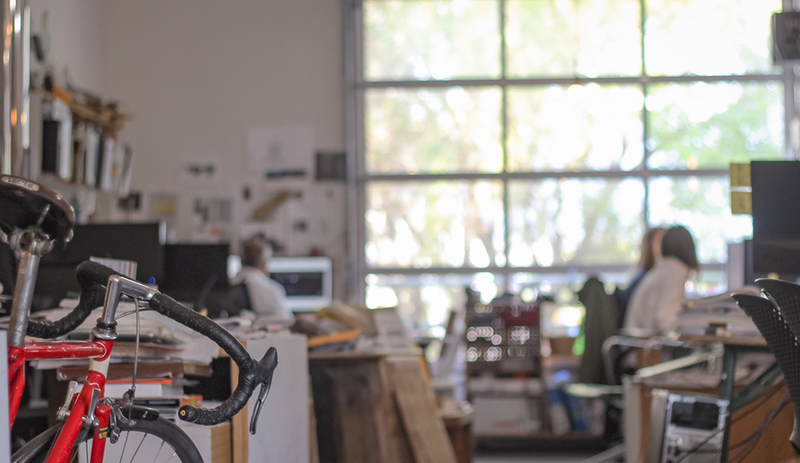 As well, the firm has developed research around seismic-resistant bike infrastructure, photovoltaic arrays that could cover parking lots, and on-fill bridge housing. 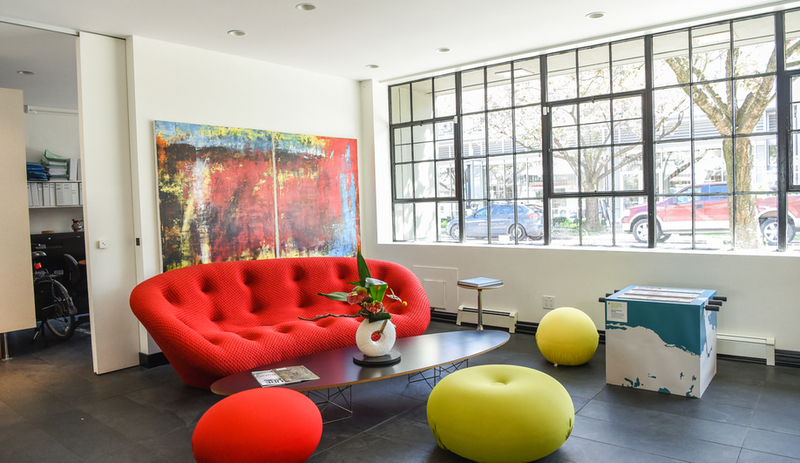 Date: Sunday, May 13, 11 a.m.-3 p.m.
B+H and CHIL’s office, located in a former biscuit factory built in 1931, is largely open-concept with multiple breakout areas – critical, as the firm says it needs the space to collaborate, lay out plans, sketch and pin up ideas. 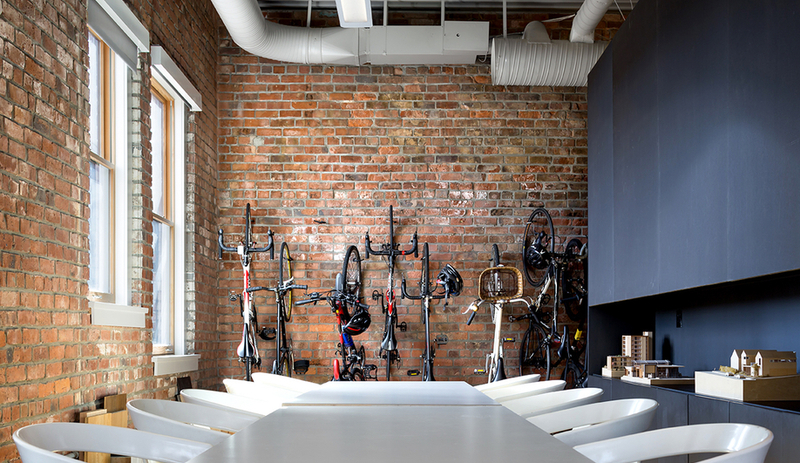 It also has, by its own estimate, one of the largest sample rooms among Vancouver design firms. It’ll be a glimpse into the firms responsible for high-profile hotel interiors – CHIL is behind luxury spaces such as L’Hermitage, Fairmount Pacific Rim and the Shangri-La locations in Vancouver and Toronto – and numerous major local projects, like 601 West Hastings and UBC’s AMS Student Nest. Date: Sunday, May 13, 1-3 p.m.
McFarlane Biggar describes its office, located in the rising neighbourhood of Mount Pleasant, as “serious yet playful.” Located in a heritage building – altered with a light touch, with a new metal ceiling and hardwood floors framing exposed brick – the 5,200-square-foot space accommodates 200 people, and is a combination of open-concept work spaces, breakout rooms and social areas. As soon as visitors enter, they’re greeted with a colourful art installation, made from sticks painted with OMB employees’ favourite colours. For Vancouver Design Week, the firm will be showcasing its design process, and will be sharing sweet treats from nearby Earnest Ice Cream. The firm prides itself on “responsive design solutions, delivered through an inclusive and engaging process, and revealed in thoughtful built work that quietly improves the spaces we inhabit.” Expect to see a diverse portfolio that includes North Vancouver’s Glory Juice Lonsdale, Simon Fraser University’s Charles Chang Innovation Centre and the Joyce Collingwood Skytrain Station, among others. Location: 1777 W 3rd Ave. Date: Saturday, May 12, 1-3 p.m.
With projects across Canada and the world – in particular, China – PFS Studio, a 30-year old architecture firm, specializes in planning, urban design and landscape architecture, spanning between the public and private sectors. 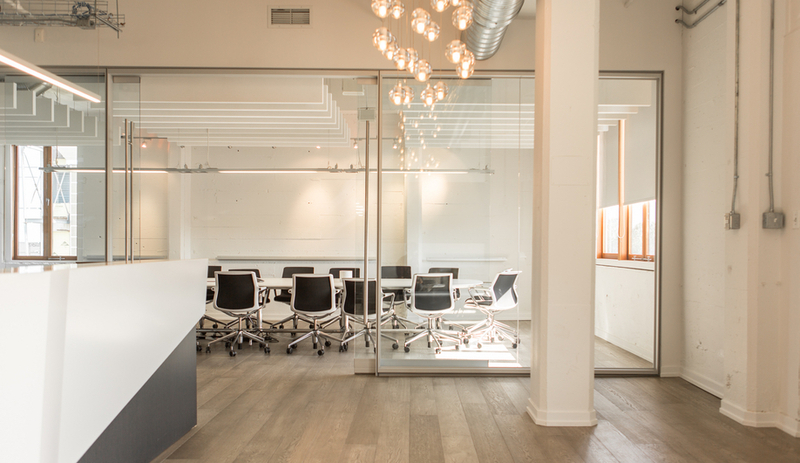 Visitors to their office should expect a walkthrough of PFS’s work. “We plan to host a digital presentation accompanied with project images and models, as well as an opportunity to engage in an informative Q&A session with real live landscape architects,” says the firm. There will be no shortage of projects to highlight. 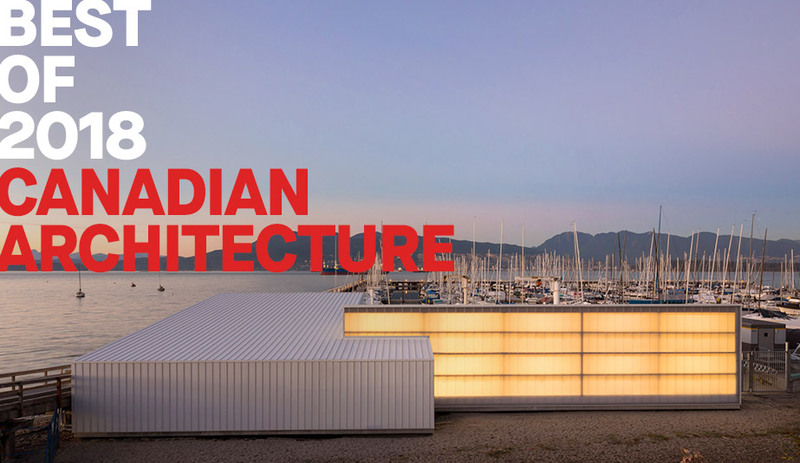 Whistler’s stunning Audain Art Museum, designed in collaboration with Patkau Architects, won an AZ Award in 2017; the firm is responsible for the design of Toronto’s West Don Lands neighbourhood; and it won awards for its VR presentation of Underpass Park, which created a brand new public space in Toronto’s east end. 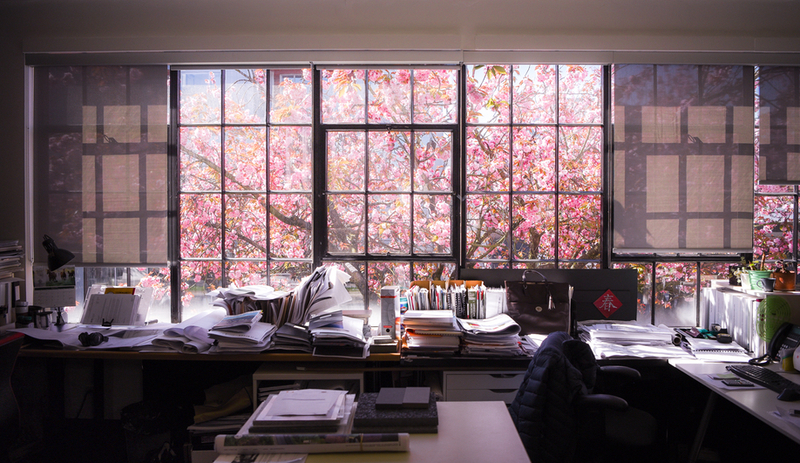 Don’t miss the cherry blossoms visible from the windows of PFS’s workspace. Date: Sunday, May 13, 1-4 p.m.
Like McFarlane Biggar, D’Arcy Jones‘s office is located in Mount Pleasant. 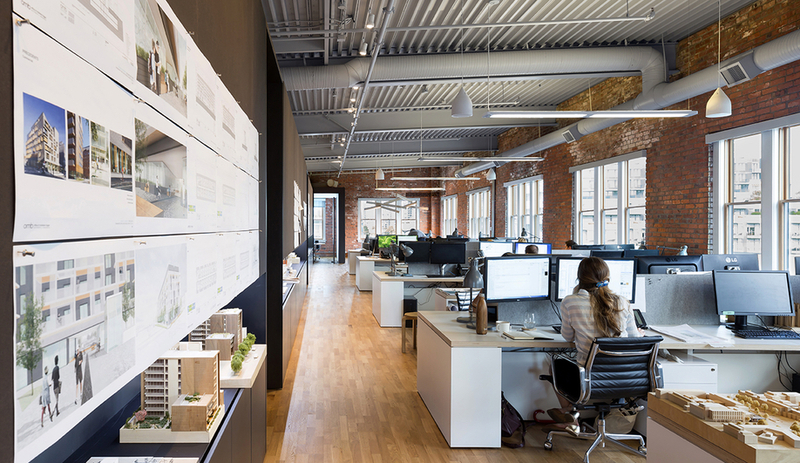 The 2017 RAIC Emerging Architectural Practice Award-winner’s space is located in the Lee Building, a structure built in 1912 that once towered over the region. 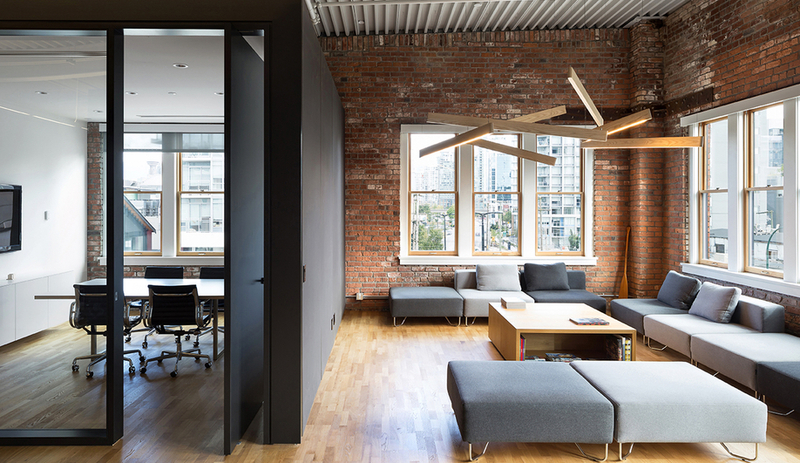 “We added minimal new elements into a rough space,” the firm says. “Models and drawings of our ongoing projects will be on display, as well as behind-the-scenes working models and sketches.” Expect to delve into the firm’s contemporary residential work: using linear geometries and understated finishes, the firm specializes in building and renovating spaces in Canada’s hottest real estate market.